M.E. 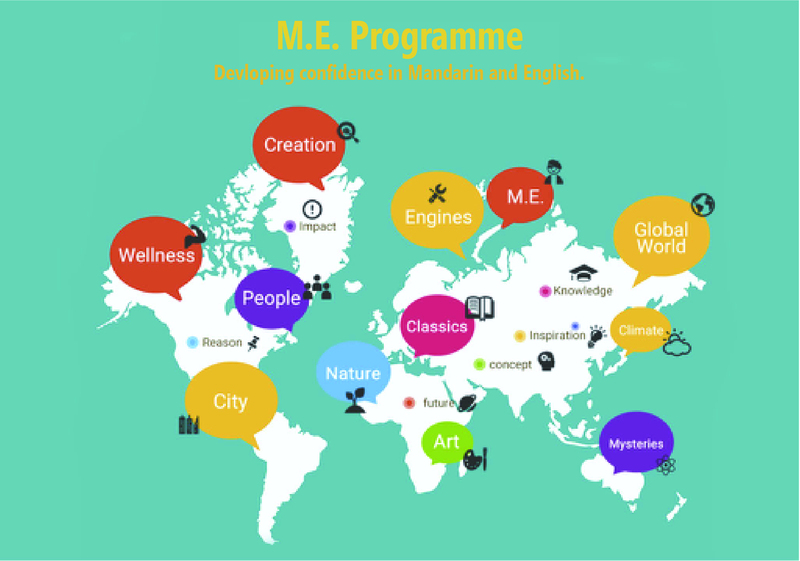 Programme is based on language learning through interactive, theme-based play activities. Learning objectives are based on the four main components: listening, speaking, reading and writing. We promote learning in both English and Putonghua so students are encouraged to participate in two classes, one in each language. This not only reinforces knowledge learnt to create a stronger memory, it also allows students to explore and become sensitive to the differences between each language, to have a broader scope of knowledge. Consistency, Curiosity This programme is no longer focused on teaching language, but more on using language to learn more and to expand horizons. 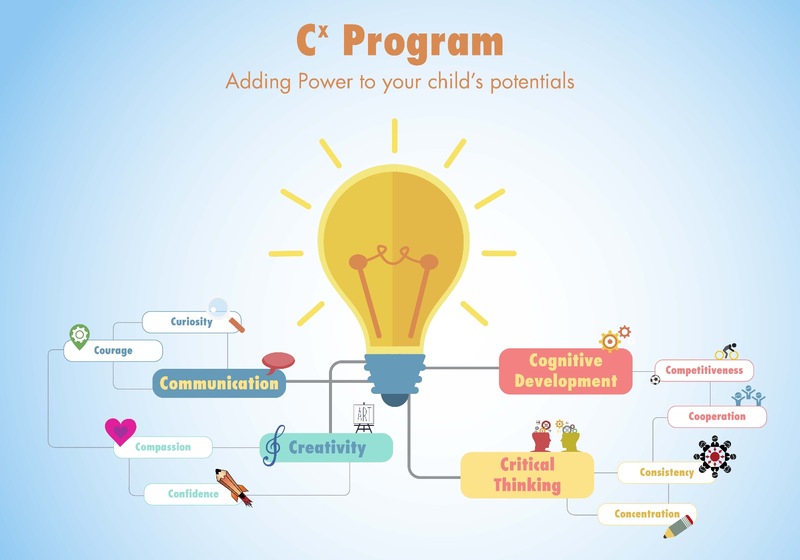 Each lesson will focus primarily on developing 3 or more of the C factors, which allow students to expand their strengths and become aware of the weaknesses in different aspects. Students who participate in this programme are expected to be proficient in either language and be able to communicate effectively with teachers. Students can choose to attend either the English or Putonghua spoken class.